AGLA social activities enable you to spend enjoyable time with the lesbian, gay, bisexual, transgender, queer or questioning (LGBTQ) community and allies. We strive to provide a wide variety of events each month to suit the diverse social, entertainment and cultural interests in our community. Enjoy a social! You are welcome regardless of where you live. Bring your friends, enjoy the cash bar drinks, and meet new people from all over the world. No cover charge. Please join us as at this exciting venue. If you haven’t joined us in a while, then come on out and make some new friends. Expect at least 100 fabulous people. AGLA member TJ Flavell will be there to greet you. Meet professionals in a variety of fields and industries. We will meet in Pinzimini Lounge at the Westin Arlington Gateway. The Lounge can be found directly across the lobby. For this event, casual business attire is encouraged. 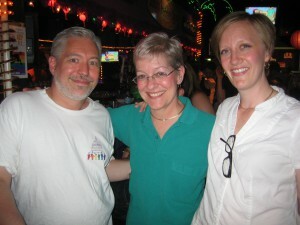 This social is hosted by NOVA Gay and Lesbian Professionals. A variety of LGBTQ professionals and allies from all over the DC area will be attending. As community service, we are doing a food drive, so clean out your cupboard of unused nonperishable food items for AFAC, the community leader in providing and promoting dignified access to nutritious food for those in need. The social will serve as a convenient collection point. Learn more about what AFAC needs at http://www.afac.org/donate-food/. Invite all your friends on Facebook. Our parties, socials, dinners, and picnics, and other events welcome our neighbors. We have many friends and AGLA members in Arlington, Alexandria, Fairfax, Falls Church, Washington, DC, and even the Maryland suburbs who join us at our events, so please feel welcome wherever you live. We are also working to expand or events to those with a particular focus on LGBTQ families with children. If you are interested in helping us out with any of these events, simply email info@agla.org. We look forward to seeing you at an upcoming AGLA event. We often combine our social activities with our community service projects. For instance at our Annual Holiday Party we collect canned goods and cereal for the AFAC. Some of our socials benefit local groups, such as our recent efforts to raise money and supplies for the Animal Welfare League and donations for the AGLA College Scholarship Fund. For a list of our current Social Activities, please view the AGLA Calendar of Events. For more information, please e-mail social@agla.org. Meet Your Gay & Lesbian Neighbors! Three of AGLA’s past presidents at Freddies. 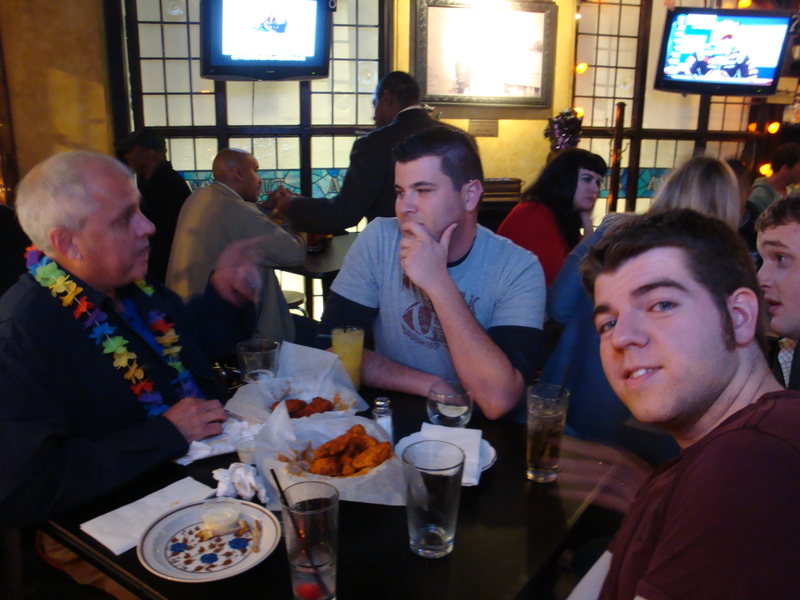 Individuals gather at Nellie’s for an AGLA Happy Hour! Some of our social functions also serve as a way of giving our members an opportunity to meet our elected officials and candidates for elective office. Below some AGLA members enjoy catered ice cream sundaes at the annual ice cream social.